Already listed with our Phuket eyeglasses directory? Try on a better vision with new eyeglasses design by a professional optician in Phuket. Find Phuket eyeglasses specialist to give you clearly eyesight. 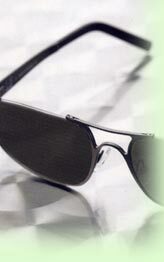 Brand name sunglasses, contact lenses and eyeglasses accessories offered in almost eyeglasses shops in Phuket also. Better Vision Phuket is well known with people in Phuket. Optical lenses, eyeglasses, sunglasses, famous designer’s specs eyewear and accessories were found here. Our optician will help you select frames and lenses that fit your needs, personality and lifestyle. By offering art, imagination and design, JAI's OPTICAL is changing the eyewear experience. Nam Silp Optical, we specialize in fitting quality progressive lenses and also present you the several brands of watches.Rolex, Tag Heuer, Omega, Cartier etc. P & P Optic offers designer-style frames, light and thin prescription lenses, contact lenses, and sunglasses. Welcome to Uthaisilp Optical! See us and we’ll see you looking good! A complete 4 visual system eye examination, vision correction & vision therapy supervised by American Board Optometrist. We invite you to visit to our showroom “Washington Optic” on Rasada Rd. we have many kind of the frame and watch to present you.